It is your day to shine and celebrate the union created by two loving people. Let the champagne flow & the merriment ring across the land with your own Personalized Wedding Toasting Flutes. Each glittering champagne flute is beautifully engraved with exact precision & clarity. 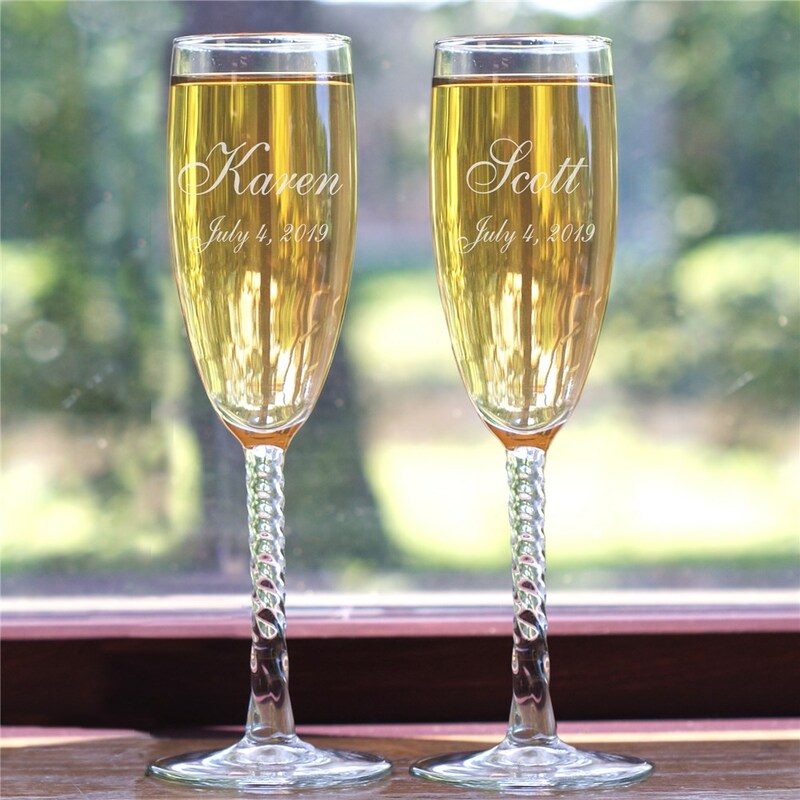 These unique wedding keepsakes also make perfect anniversary keepsakes for celebrating the First to the 100th wedding anniversary.Your Personalized Couples Champagne Glasses are available Angelic Twisted Stem Toasting Flutes. The Personalized Champagne Flutes feature 12 knotted twist stems and measure 8 1/4”H. Champagne Flutes are made in the USA and hold 5.75 ounces. Includes FREE Personalization! 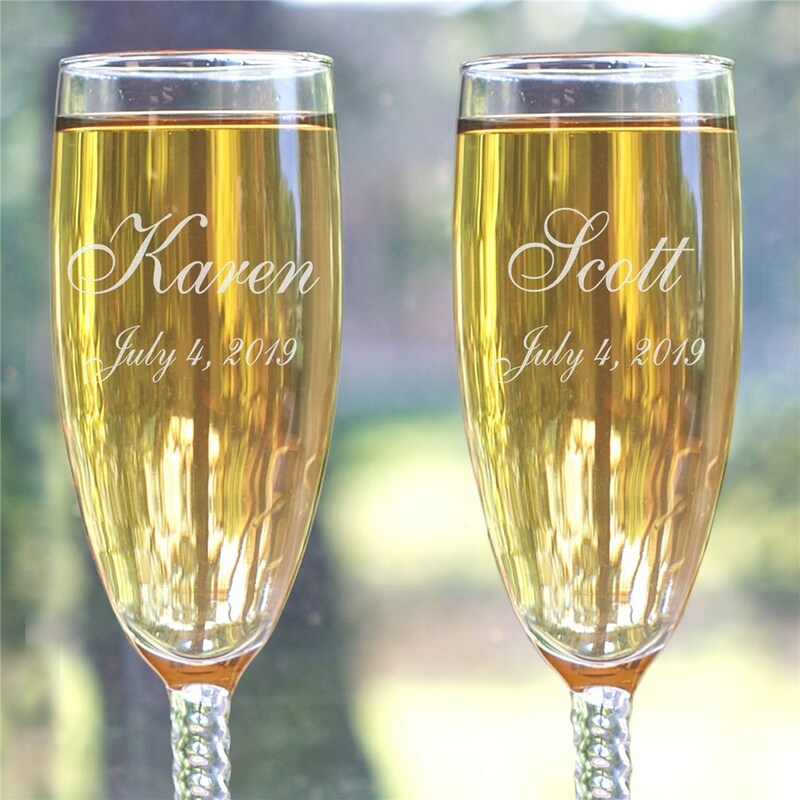 Personalize your Wedding Toasting Flutes with any bride and groom's names and wedding date. Great looking, I'm really pleased!